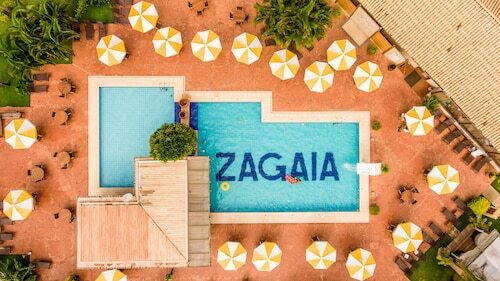 Expedia has some amazing Bonito (Mato Grosso do Sul) travel packages Combining your bookings is one of the best ways to save time and cash — and get your trip off on the right foot. Savings of up to C$590* are available to savvy vacationers who book a package deal on Expedia. Our enormous global database offers more than 321,000 properties worldwide and 400 partner airlines. With such a broad range of options, creating your dream vacation will be a piece of cake! There's no limit to the number of wonderful things you can do when you visit a new place. So why not get your trip to Bonito (Mato Grosso do Sul) off to a sensational start by having a look at some of our suggestions? After all – out there starts here! Sightseeing is always a blast, particularly when the sights are as outstanding as Municipal Baths! You'll want some time to experience this top attraction. Public squares have many stories to tell. Stroll over well-trodden pathways and keep an eye out for clues to the past at Liberty Square. Travelers in this destination are spoilt for choice. Get together with like-minded people and be prepared to get inspired at one of the conferences or cultural events hosted at Bonito Convention Center. Still have time to spare? Are you simply wild about animals? Grunt, squeak and squawk to some of the most exciting of them at Jiboia Project. It promises to be a fun day out for everybody! Hit the streets and experience new things in Bonito (Mato Grosso do Sul). 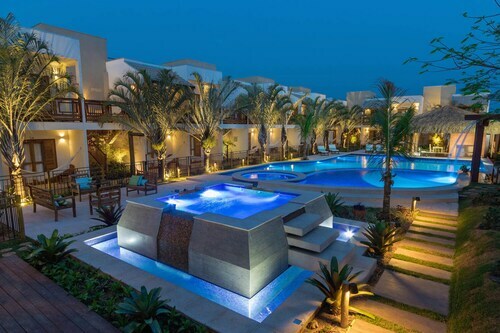 Seeking cheap vacations or luxury getaways? Expedia has at least 18 properties close to the heart of the city, so getting a nice, comfy room won't be hard. If you like things such as gyms and indoor pools as well as fluffy bathrobes, why not inquire about the amenities at the Pousada Surucuá - Bonito/MS (Rua Bongiovani 860) and the Hotel Pirá Miúna (Rua Luiz Da Costa Leite 1792)? Campo Grande International Airport (CGR) is the starting point for most travelers taking a trip to Bonito (Mato Grosso do Sul). It's situated 130 miles (209 km) from the downtown area. See the world pass by, watch concerts and study the subjects of a curious aquatic sculpture at this central town square. Horseback rides, nature walks, water sports and wildlife spotting are just some of the activities on offer at this adventure sports resort situated on a bend of the Formoso River. Choose from exciting water- and land-based adventure activities, or simply relax and enjoy the peace and quiet, at this beach club set on the banks of the Formoso River. Examine well-preserved examples of ancient geological formations and spot tropical birdlife on a guided tour of this small yet interesting cave. Listen to a snake expert demystify the behavior of non-venomous snakes and take the opportunity to have your picture taken while holding a boa constrictor. 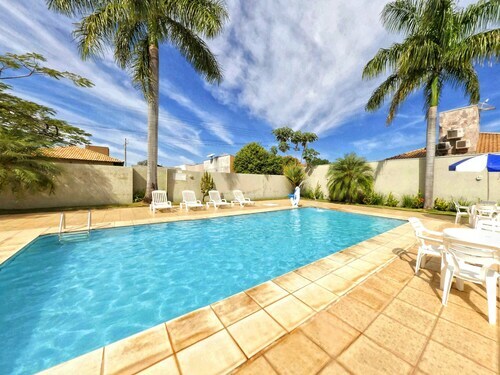 This family-friendly Bonito (Mato Grosso do Sul) resort is within 3 mi (5 km) of Jiboia Project and Liberty Square. Bonito Convention Center is 3.8 mi (6.2 km) away. 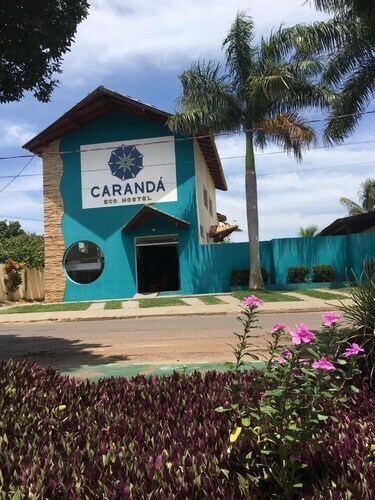 Located in the heart of Bonito (Mato Grosso do Sul), this hotel is within a 5-minute walk of Pantanal Reserve and Liberty Square. Jiboia Project and Bonito Convention Center are also within 1 mi (2 km). Situated in Bonito (Mato Grosso do Sul), this hostel is within a 10-minute walk of Pantanal Reserve and Bonito Convention Center. Liberty Square and Jiboia Project are also within 2 mi (3 km). Located in the heart of Bonito (Mato Grosso do Sul), this pousada is within a 10-minute walk of Pantanal Reserve and Liberty Square. Jiboia Project and Bonito Convention Center are also within 2 mi (3 km). 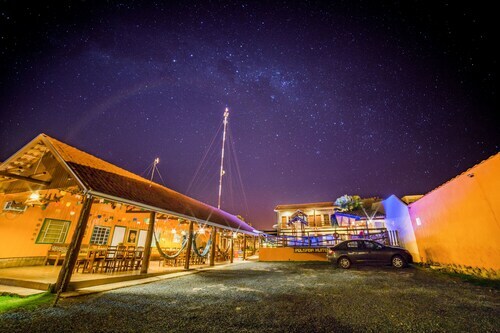 Situated in Bonito (Mato Grosso do Sul), this hostel is within a 5-minute walk of Pantanal Reserve and Liberty Square. Bonito Convention Center and Jiboia Project are also within 1 mi (2 km). Situated in Bonito (Mato Grosso do Sul), this pousada is within a 10-minute walk of Pantanal Reserve and Liberty Square. Jiboia Project and Bonito Convention Center are also within 2 mi (3 km). 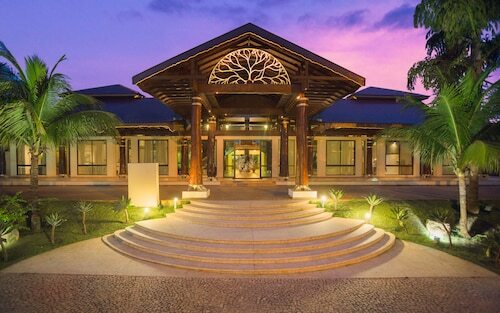 Situated in Bonito (Mato Grosso do Sul), this hotel is within a 5-minute walk of Pantanal Reserve and Jiboia Project. Liberty Square and Bonito Convention Center are also within 3 mi (5 km). 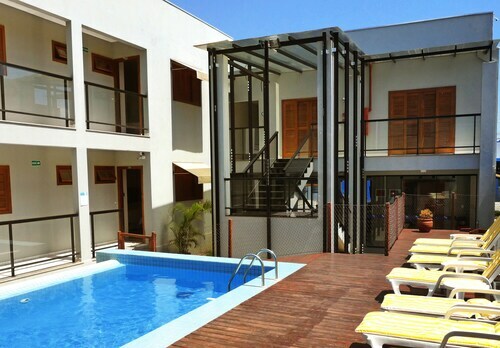 Situated in Bonito (Mato Grosso do Sul), this hotel is within a 10-minute walk of Pantanal Reserve and Liberty Square. Jiboia Project and Bonito Convention Center are also within 2 mi (3 km).